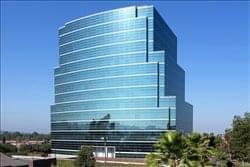 Find My Workspace lists over 95% of the executive office suites market in West Covina. Simply click Request Quote to check pricing for one office, or Add to Basket for multiple offices. West Covina, California - N. Barranca St. This site offers suites with amazing unobstructed views overlooking the Inland Empire. Included with the building comes free underground parking, and a wide range of executive suites to choose from. These suites offer many amenities like free wifi, phone services, receptionist, conference rooms, kitchen, mail services and copy room. If you are looking for a more simplistic office space with less amenities, mini suites are also offered. These suites offer free wifi, kitchen, and shared lobby areas. If you are looking for a 150-400 SF private office, this location is the perfect place for your business.